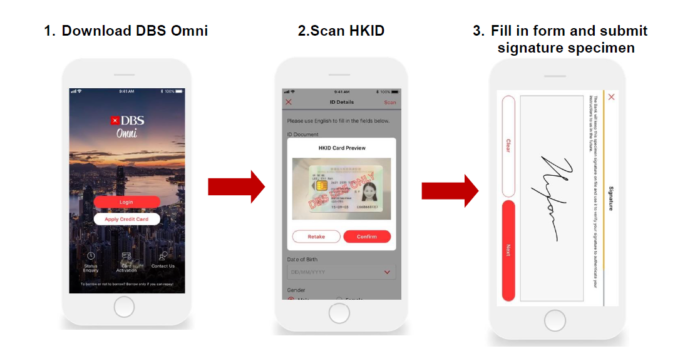 DBS Bank (Hong Kong) has launch the DBS Omni app, which allow customers to instantly get their hands on its credit cards via mobile phone in just a few minutes. 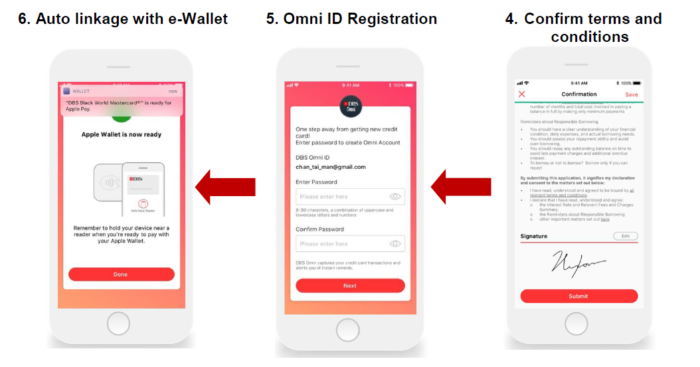 This DBS Omni app leverages FinTech innovation to simplify the credit card application and approval process to a matter of minutes. 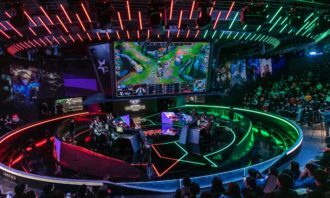 The new solution also eliminates the hassle of submitting documents, as the application only requires Hong Kong identity card. Through instant in-app provisioning, the credit card is seamlessly integrated with mobile wallets, such as Google Pay and Apple Pay. Bernard Chan, head of cards and unsecured lending at DBS Bank (Hong Kong), said that in addition to the bank’s database, the app is linked to TransUnion’s database to confirm customers’ credit history and personal information, so the proof of address and proof of income are not necessary for the application, Ming Pao reported. 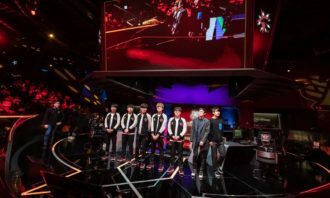 Chan added that he anticipates the new service will drive up to 30% growth of new credit card users. 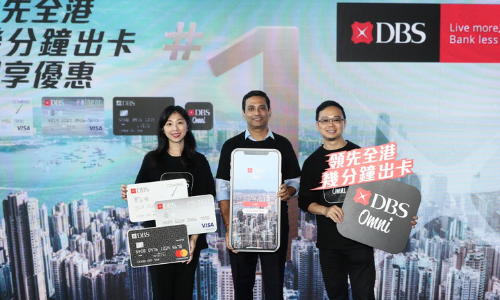 “We believe our latest first-in-market solution totally transforms the end-to-end credit card customer experience, and will help spearhead our successful efforts to truly make banking joyful and enable our customers to ‘live more, bank less’,” said, Ajay Mathur, managing director and head of consumer banking group and wealth management, Hong Kong, DBS Bank (Hong Kong). 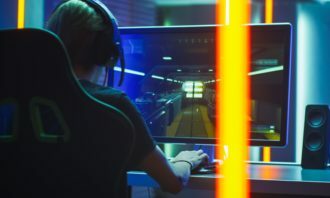 As FinTech innovation continues to drive a fundamental shift in the financial services operating model, Sebastian Paredes, CEO of DBS Bank (Hong Kong), said that the bank is constantly redefining the customer journey with game-changing technology that transforms how people access financial services at scale. Every company is focusing on content which will get them the necessary results but how can marketers build a "content factory" wit..